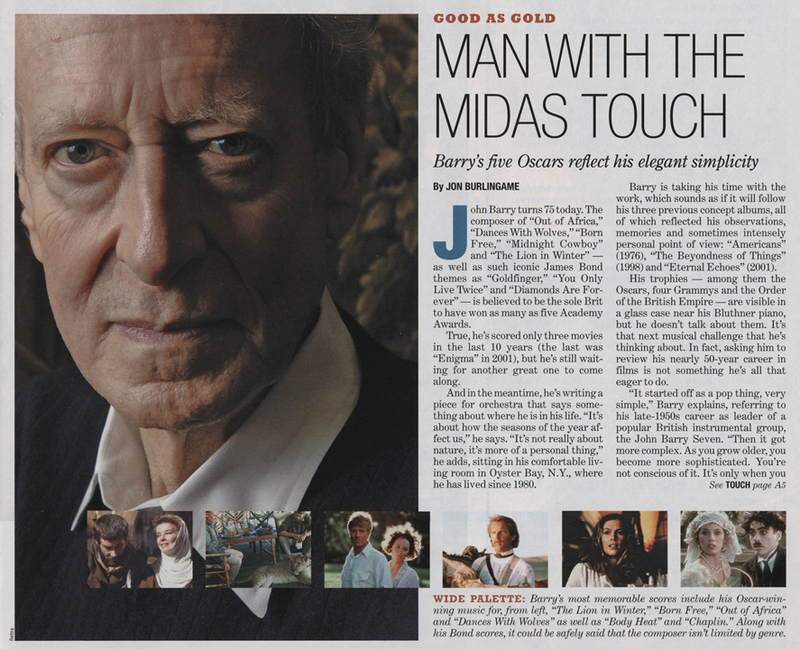 As many of you know, one of my special interests over the years has been the music of composer John Barry. He scored just four Westerns during his career. I first met him while interviewing him about one of those, his eventual Oscar winner Dances With Wolves, for Premiere magazine. 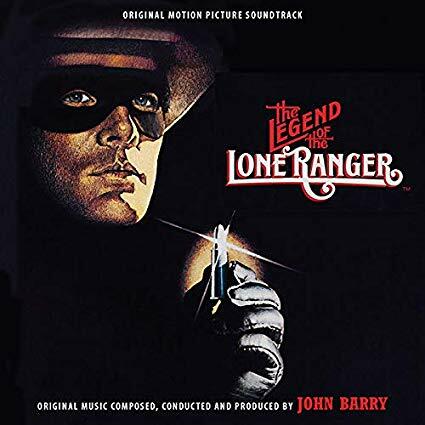 But in the early 1980s he scored another one, The Legend of the Lone Ranger, and it was a pleasure to write the liner notes for this first-ever CD release of the 1982 LP. Country legend Merle Haggard sings the ballad, “The Man in the Mask,” and lyricist Dean Pitchford contributed some eye-opening reminiscences in a new interview for my essay. 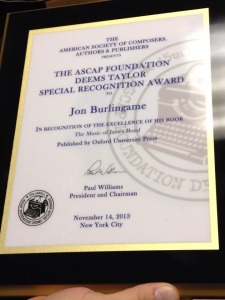 This entry was posted in Composers, Film Music, Interviews and tagged Dean Pitchford, Intrada, John Barry, Merle Haggard, The Legend of the Lone Ranger on November 29, 2018 by Jon Burlingame. 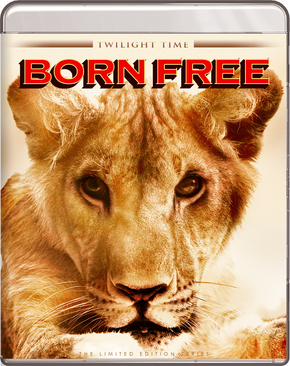 It’s sad that the 1966 film Born Free seems to have fallen into obscurity. It’s really a wonderful film, based on the true story of an English couple who adopt and raise an orphaned lion cub in Kenya but then must teach her how to survive in the wild. 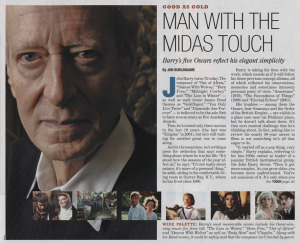 I was delighted that the folks at Twilight Time asked me to participate in a commentary track, specifically to talk about John Barry’s music, which won Oscars for Best Song and Best Score. Prior to Born Free, Barry was primarily known as composer for the James Bond films; these were the first of five Oscars he would ultimately win for his classic film music. This entry was posted in Composers, Film Music, Homepage and tagged Best Song Oscar, Born Free, John Barry, Twilight Time on December 29, 2015 by Jon Burlingame. One of my favorite year-end tasks is compiling a list of what I think were the best albums of classic film and TV music to be released during the previous 12 months. 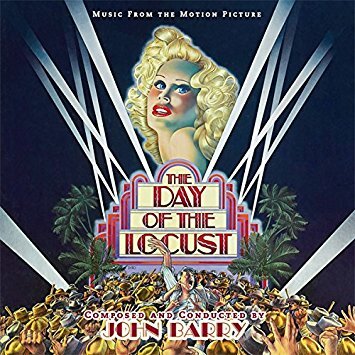 First-time-ever releases (like Leonard Bernstein’s original On the Waterfront tracks), re-recordings (John Barry’s The Betsy), reissues on CD (Jerry Goldsmith’s Our Man Flint and In Like Flint LPs), expanded classics (Michel Legrand’s The Thomas Crown Affair) and box sets of great film and TV music (Elmer Bernstein’s Ava LPs, Star Trek: Enterprise) are all included. I chose 20, and had to drop five or six more that I really liked because of limited space. Thanks to all the producers and label execs who work so hard to keep us film-music buffs happy. 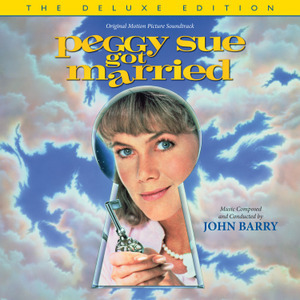 This entry was posted in Composers, Film Music, Television Music and tagged Best of 2014, classic film music, Elmer Bernstein, Film Music Society, Jerry Goldsmith, John Barry, Leonard Bernstein, Michel Legrand on December 29, 2014 by Jon Burlingame. This amazing player of unusual percussion instruments — especially in film scores like The Ipcress File, The Quiller Memorandum, The Man Who Would Be King and others — died recently in London. 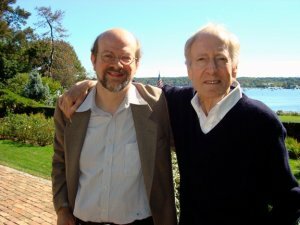 I had interviewed him in 2008 about his work with John Barry, especially the unusual sound of the theme for TV’s The Persuaders!, and wrote this appreciation of the man. This entry was posted in Composers, Film Music, Obituaries, Television Music and tagged cimbalom, Film Music Society, George Fenton, John Barry, John Leach, Maurice Jarre, The Ipcress File, The Persuaders, The Quiller Memorandum on July 14, 2014 by Jon Burlingame. The story of the music that accompanies the cinematic adventures of Ian Fleming’s intrepid Agent 007 is one of surprising real-life drama. In The Music of James Bond, author Jon Burlingame throws open studio and courtroom doors alike to reveal the full and extraordinary history of the sounds of James Bond, spicing the story with a wealth of fascinating and previously undisclosed tales. 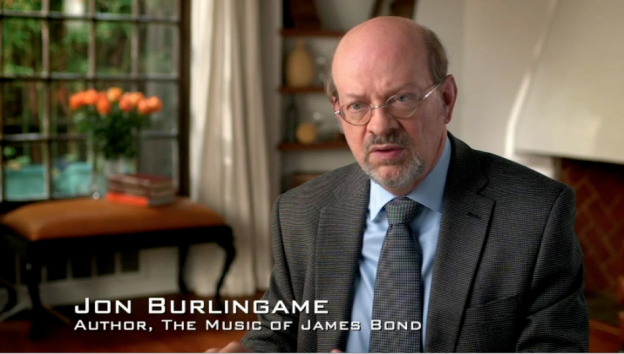 Burlingame devotes a chapter to each Bond film, providing the backstory for the music (including a reader-friendly analysis of each score) from the last-minute creation of the now-famous “James Bond Theme” in Dr. No to John Barry’s trend-setting early scores for such films as Goldfinger and Thunderball. We learn how synthesizers, disco and modern electronica techniques played a role in subsequent scores, and how composer David Arnold reinvented the Bond sound for the 1990s and beyond. The bo ok brims with behind-the-scenes anecdotes. 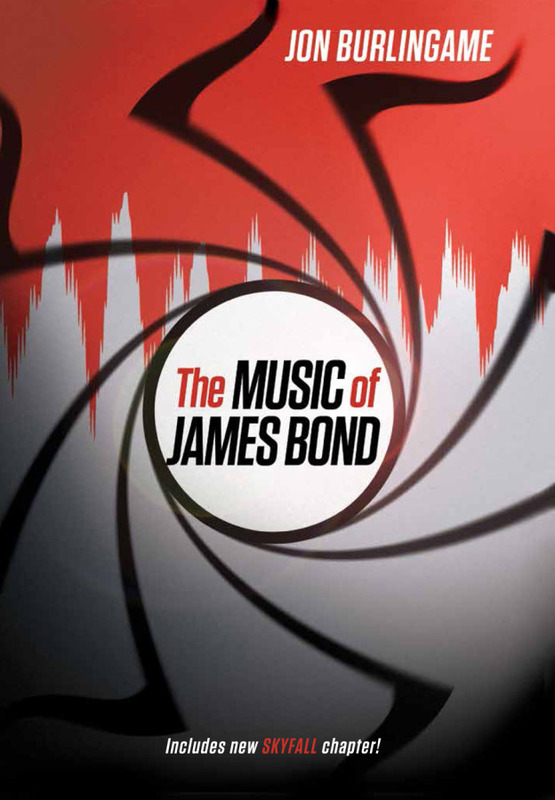 Burlingame examines the decades-long controversy over authorship of the Bond theme; how Frank Sinatra almost sang the title song for Moonraker; and how top artists like Shirley Bassey, Tom Jones, Paul McCartney, Carly Simon, Duran Duran, Gladys Knight, Tina Turner, and Madonna turned Bond songs into chart-topping hits. The author shares the untold stories of how Eric Clapton played guitar for Licence to Kill but saw his work shelved, and how Amy Winehouse very nearly co-wrote and sang the theme for Quantum of Solace. Winner of the prestigious Deems Taylor Award for excellence in music journalism, the book has been updated in paperback to include a new chapter on Skyfall, including extensive interviews with composer Thomas Newman and Adele’s producer and co-writer Paul Epworth (among others) as well as new photographs and material that has come to light since the original publication (including Lionel Bart’s newly discovered Thunderball song!). 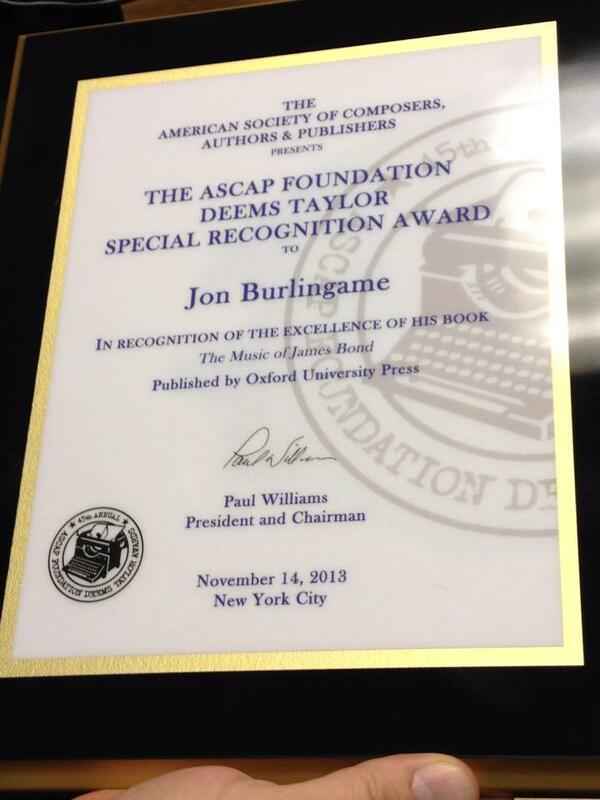 This entry was posted in Composers, Film Music, Homepage, Interviews and tagged 007 music, Adele, David Arnold, Deems Taylor award, James Bond songs, James Bond Theme, John Barry, Monty Norman, Music of James Bond, Oxford University Press, Paul Epworth, Skyfall, Thomas Newman on October 1, 2012 by Dan Goldwasser. This was a tough one to write. I was in South Carolina, visiting my dying brother, when word came that John Barry had died of a massive heart attack. I knew the career so well — and we had been friends for over 20 years — that I was able to write it in my hotel room before getting on a plane to head home. Two days later I wrote this appreciation of the man, and five months later I wrote about his memorial concert in London. This entry was posted in Composers, Film Music, From the Files, Obituaries and tagged Dances With Wolves, Goldfinger, John Barry, Out of Africa, The Lion in Winter, Variety on January 31, 2011 by Jon Burlingame.